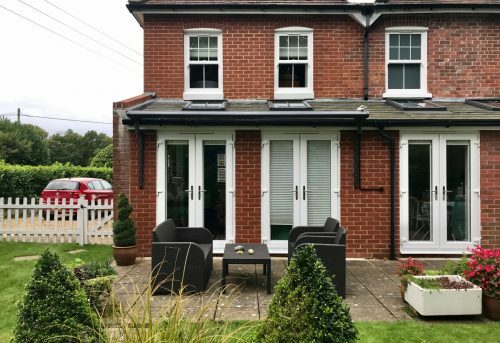 We recently fitted this smart Weinor Cassita Awning to a ground floor extension in a property in Ringwood. 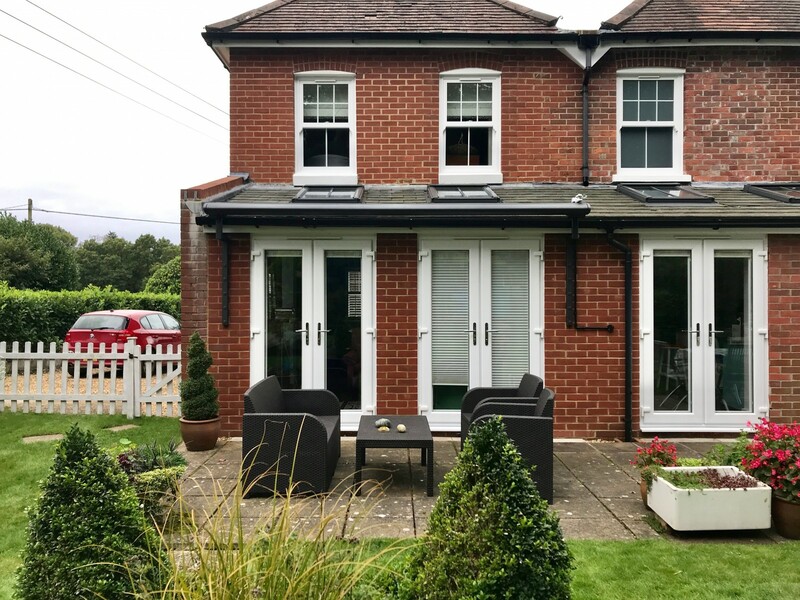 The lovely french doors at the back of the property open out onto a large patio area, perfect for relaxing in the garden and entertaining friends and family. However, due to its South facing location, the patio area gets very hot on bright, sunny days. This makes sitting out on the patio uncomfortable. 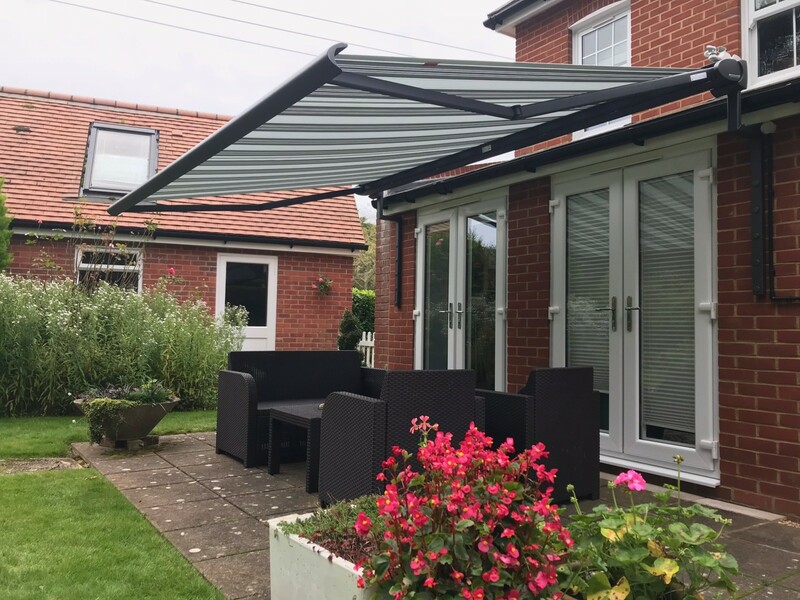 So, we recommended a Weinor electric patio awning to cover the outdoor table and chairs and create some welcome shade for the outdoor space. The awning also provides shade for the rooms at the back of the house. 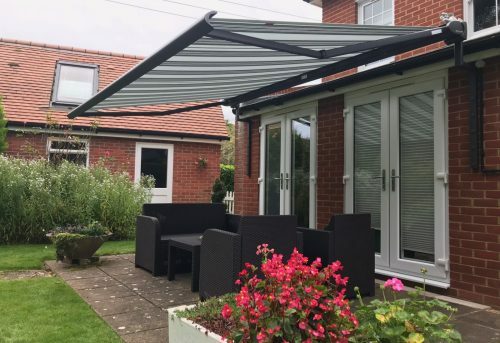 The Weinor Cassita Awning was also fitted with a wind sensor and some special brackets were custom made to ensure the awning cleared the patio doors.